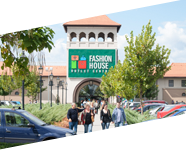 In the end of May 2013 FASHION HOUSE Group made another step in order to secure its leading position in the outlet sector in the CEE and Russia. The company obtained a valid building permit for the FASHION HOUSE Outlet Centre St Petersburg, and plans to complete construction in 2014. FASHION HOUSE Outlet Centre will be the first professionally managed and fully-enclosed facility of this type in St Petersburg. This 2nd in Russia and 6th FASHION HOUSE Group project globally is being developed on a land property of 12 ha in Lomonosovskiy district on a border of Saint-Petersburg and the Leningradskaya Oblast’. 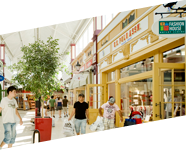 New outlet centre will be located 20 km south of St.Petersburg city centre on the crossroad of Tallinskoe Schosse and 6-lane KAD ring road, 15 minutes’ drive from Domestic and International Pulkovo Airports which guarantees a total catchment area of 5.2 million inhabitants within a 90 minute drive time. Construction process of FASHION HOUSE Outlet Centre St Petersburg presumes 3 phases. Total amount of investment is estimated in EUR 70,00M. The construction works are scheduled for completion in 2014. The construction site of the outlet-centre is surrounded with a residential estate project, a houseware supermarket Metrika, food hypermarket O’KEY, and an auto-complex BitAuto. Currently a Cash&Carry project is being planned for developing on the neighboring plot. The development of FASHION HOUSE Outlet Centre St Petersburg is being assisted by JSC “Credor” – a local project co-ordination office. The company supports FASHION HOUSE in securing all the engineering facilities and traffic solutions for the project site. Next step to be taken is the tender for constructors. The start of construction is scheduled later this year. With a GLA of 20,260 sqm, FASHION HOUSE Outlet Centre St Petersburg will be home to 120 store units, coffee bars and restaurants, a childrens’ play area and a parking lot for 1,050 vehicles. Its architectural theme isAmsterdamand the Low Countries, with which the city ofSt Petersburghas had trading and cultural links for centuries. The interior design will boast the “Window to Europe” concept, which was specially designed for the FASHION HOUSE Group projects inRussia. We are very happy to have successfully gone through the important part of the administrative process. 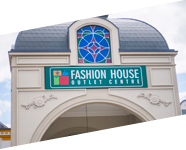 Now, we are aiming to start the construction works after this summer – Brendon O’Reilly, Managing Director of FASHION HOUSE Group, said. I can confirm that our project in St Petersburg, which is a major trade gateway, financial, cultural and industrial center of Russia, will attract many renowned brands, and become an important shopping destination – Brendon O’Reilly added. St Petersburgis one of several Russian cities in which FASHION HOUSE Group develops its outlet concept. 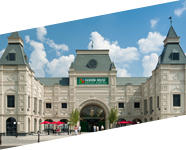 The first Russian centre, FASHION HOUSE Outlet Centre in Moscow, is due to open on 27th June 2013.